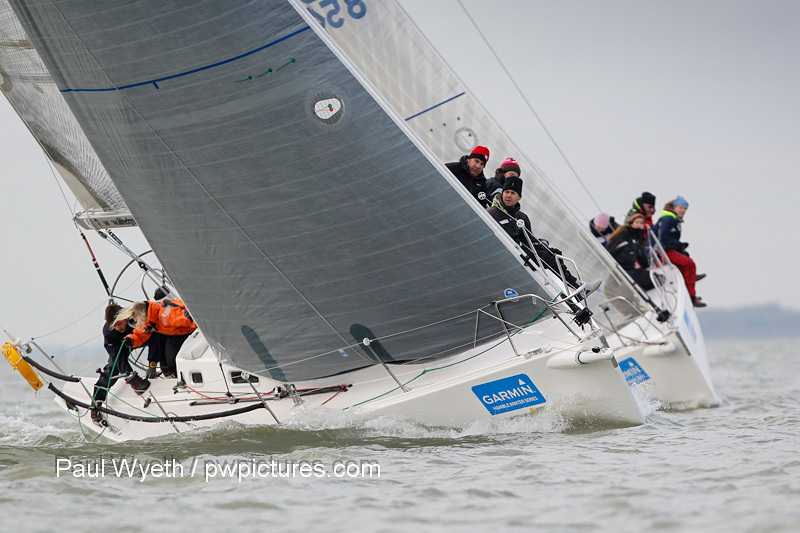 The penultimate weekend of the Garmin Hamble Winter Series saw a chilly and gusty breeze that shifted regularly between 002 and 022 degrees, demanding frequent tacks and rewarding tacticians with their heads out of the boat. Despite only reaching 18 knots, the wind was gusty enough to keep trimmers on their toes. 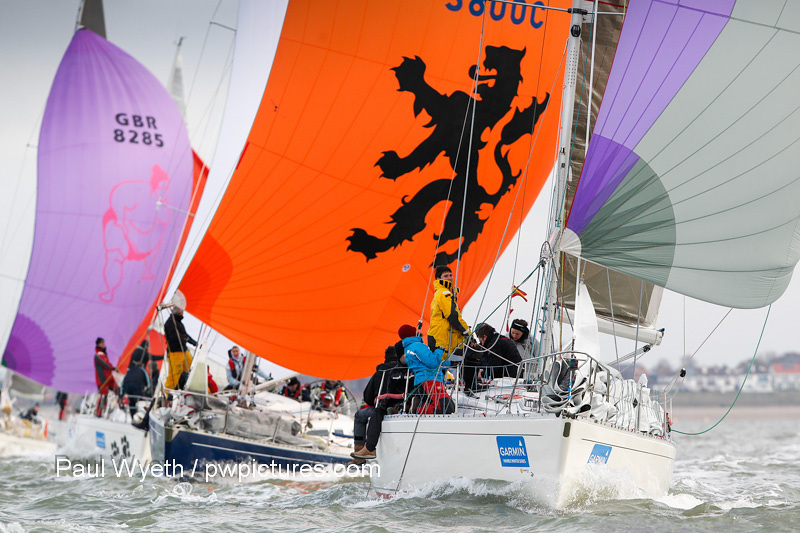 In some classes, boats that have been dominant throughout the series consolidated their overall lead, despite not topping the fleet in Sunday’s race. In IRC 0, James Gair’s Localletterbox Zero II finished 2nd on the water, but still leads the class by 11 points going into the final weekend. Similarly in IRC 1, Puma Logic holds a 7 point lead over second-placed Passion, and in IRC 2, Mike Bridges’ Elaine leads Paul Heys' Jungle Drum by 10 points, despite a great win for Dr Daniel and Dr Susan Anthony on Malaika this week. In IRC 3, David Greenhalgh’s J’ronimo beat Nick Munday’s IndjulJence into second place on the water, but InldulJence leads J’ronimo by eight points ahead of the final race. 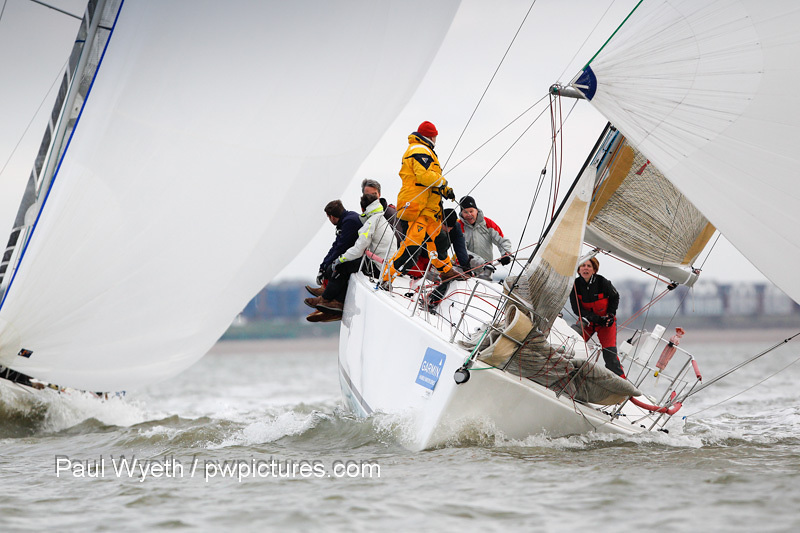 In IRC 4, another strong showing by Toby Gorman’s Stan the Boat put them seven points ahead of Erik the Red in second. Paul Griffiths’ Jagerbomb topped the J/109 fleet, which places them in third overall, one point behind second-placed Jynnan Tonnyx, who sit five points behind class leaders, David McGough’s Just So. David and Kirsty Apthorp’s J-Dream tops the J/111 class, ahead of Andrew Christie’s Icarus, with a healthy lead., while in the ever-close Sigma 38 fleet, Nigel Goodhew’s Persephone sits four points ahead of second-placed With Alacrity, who are tied on points with Mefisto with one more race to go in the series. Prizes were generously provided by Driver’s Dry Berthing at a prizegiving back in the HRSC cluhouse. Next week, the sponsor is the Sigma 38 class, who are celebrating being the longest-serving class in the Hamble Winter Series, with prizes also donated by The Bugle, where the club was started in a shed in the garden in 1919. See you on the water for one more race!